ABOUT THE FESTIVAL: BFI Flare: London LGBT Film Festival is the UK’s longest running LGBT film event. It began in 1986 as Gay’s Own Pictures. By its 3rd edition it was tagged the London Lesbian and Gay Film Festival and since then has grown to become the largest LGBT film event in the UK, and its most anticipated. The Festival changed its name to BFI Flare in 2014 to reflect the increasing diversity of its films, filmmakers and audience. The 33rd edition of BFI Flare: London LGBTQ+ Film Festival will showcase the best in contemporary global LGBTQ+ films, screening over 50 features, and more than 80 shorts. The BFI Flare: London LGBTQ+ Film Festival will open with VITA & VIRGINIA, the true story of the relationship between literary trailblazer Virginia Woolf, and the aristocrat Vita Sackville-West. The 32nd edition of BFI Flare: London LGBT Film Festival which takes place from March 21st to April 1st, 2018, announced the Opening and Closing Night Galas films. MY DAYS OF MERCY opens the Festival on Wednesday March 21, with POSTCARDS FROM LONDON closing the Festival on Saturday March 31. 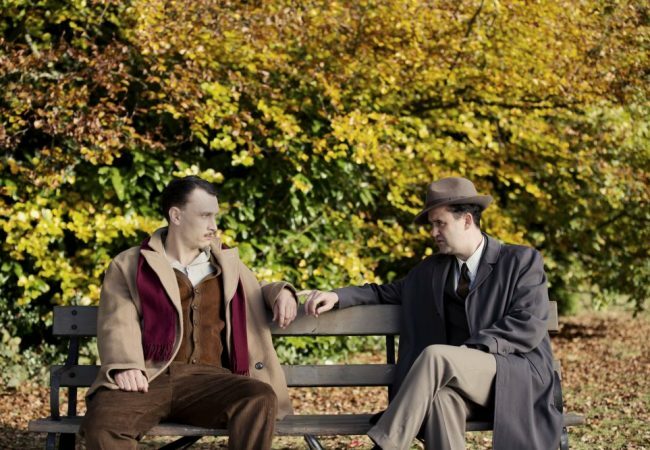 The world premiere of AGAINST THE LAW, a powerful and timely factual new British drama, directed by Fergus O’Brien and starring Daniel Mays, will open the 31st edition of BFI Flare: London LGBT Film Festival.